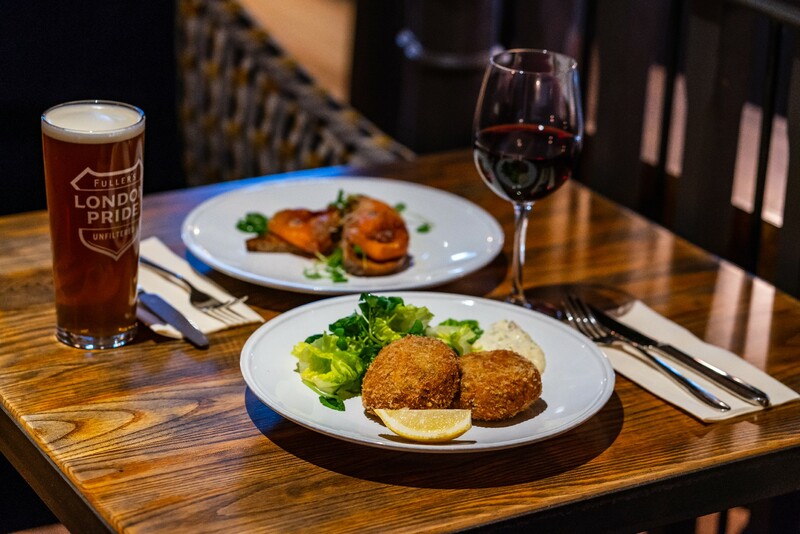 Whether it’s a quick bite before your train or a leisurely lunch with friends, The Mad Bishop and Bear promises a delicious dining experience every time. 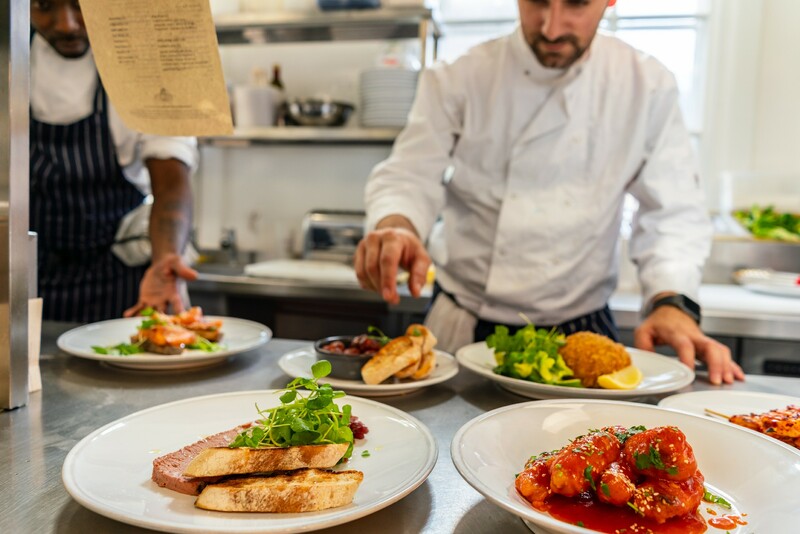 Head Chef Hassane Lourari and his kitchen team craft a range of classic pub dishes and tailored signature specials using the finest seasonal ingredients - such as meat sourced from Owton’s Farm in Hampshire, and vegetables that are delivered to us fresh every day. In our Fuller’s Kitchen, we take taste personally. That means our talented chef team have seasonal, local produce delivered every day. 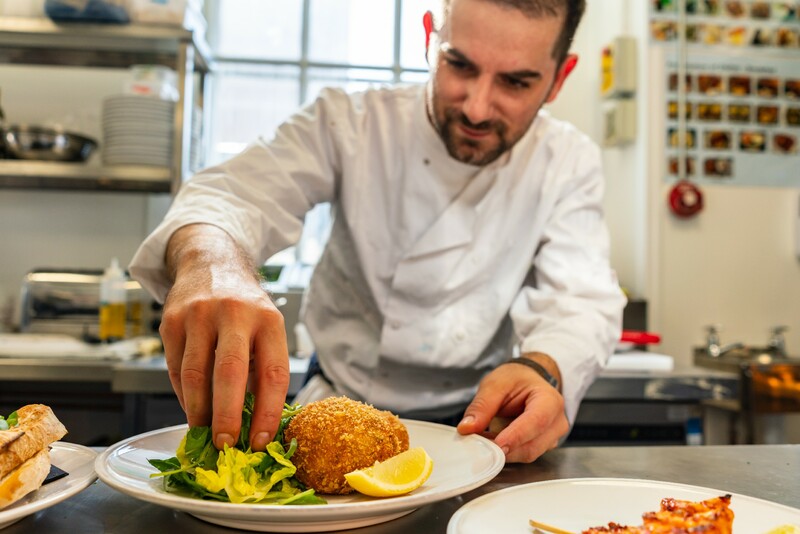 It also means they have the freedom to put their stamp on every dish, and it is why you will see Head Chef, Hassane Lourari's signature on every menu.